Okay, wait a minute. Wait right there! I know you're judging these slightly knobbly, brown blobs on their appearance and yes I admit it, they aren't pretty, but just wait....because these delicious mounds of gooey, chewy, chocolatey banana bread deserve a second glance! 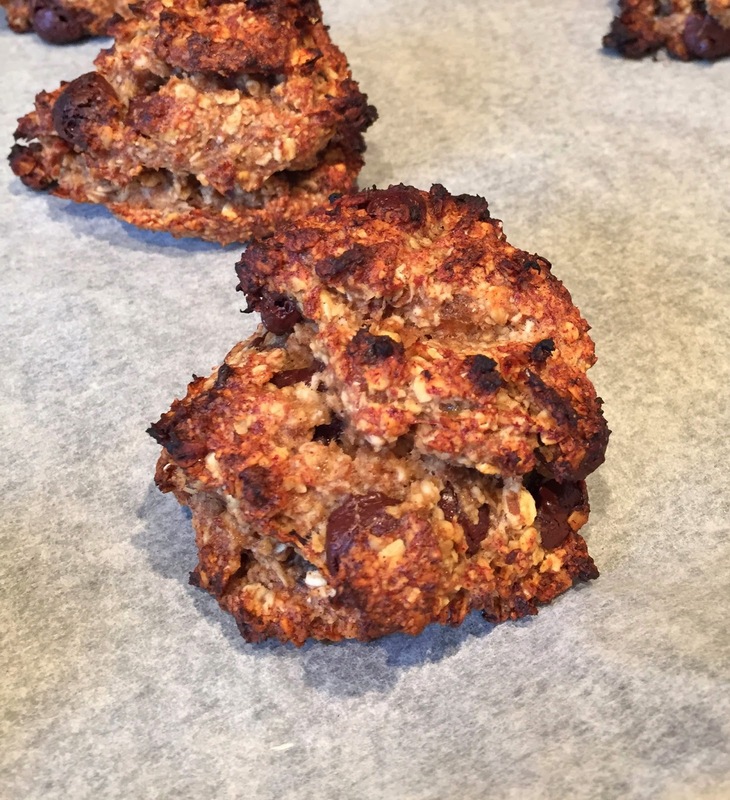 These (nearly) vegan banana bread treats are made using banana and dates for natural sweetness, oats instead of flour and coconut oil instead of butter. The only thing making them non-vegan is that I used regular dark chocolate chips instead of dairy free ones. In my book, that all makes them healthy and therefore I'm allowed to eat as many as I want in one sitting. If that means 5 then so be it. The coconut oil isn't a dominating flavour here, it's just a subtle taste that works perfectly with the banana and chocolate. Coconut is one of my favourite flavours in sweet or savoury dishes, which is why coconut oil has been one of the best discoveries ever. I put it in everything from porridge and brownies to salads and curry. I'm yet to find something that isn't improved by using coconut oil. 2. 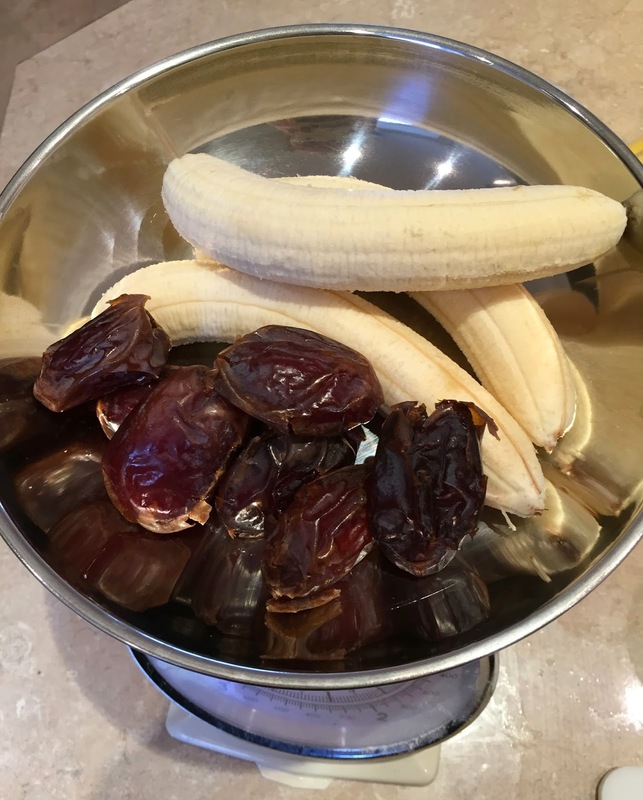 Add the peeled bananas and pitted dates to a food processor along with the coconut oil and vanilla. Process for 1 minute until smooth. 3. Add the cinnamon, baking powder and salt then process again until everything is combined. 4. 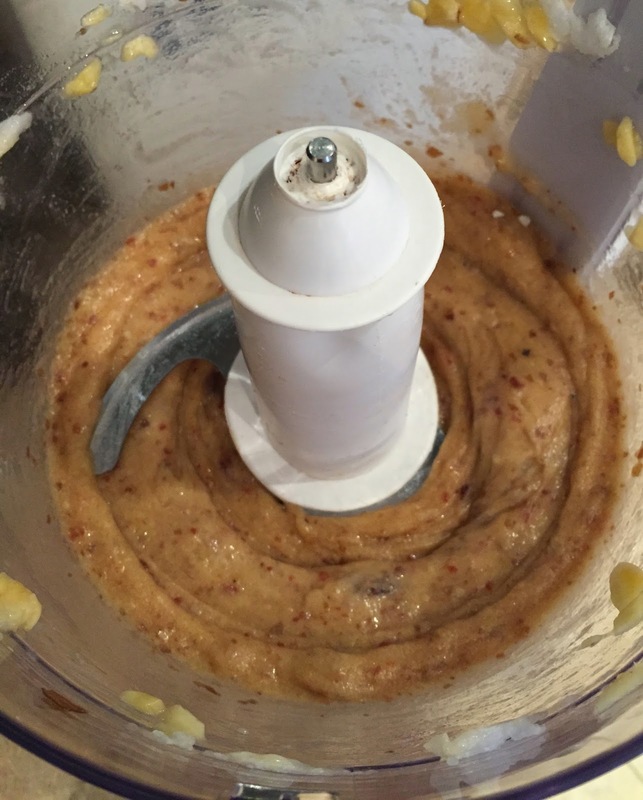 Pour 1.5 cups of the oats in to the food processor and process for 5 seconds until everything is combined and oats have been slightly broken up. 5. Remove the processor from the base, take out the blade and mix in the rest of the oats and the chocolate chips with a spoon. 6. Spoon the mixture on to the baking sheet to make large mounds, each mound should be 3 tablespoons. Don't flatten or squash them down. 7. Bake for 10 minutes then rotate the tray and put back in the over for 3-5 minutes, or until golden brown. Remove from the oven and leave to cool on a wire rack. Note: recipe adapted from Oh She Glows, one of my all time favourite vegan food blogs. These sound delicious!! This recipe won me over the moment you said gooey and chocolately - who cares what they look like, as long as they taste good! (they'll most likely be eaten within a few hours). Thanks for sharing.